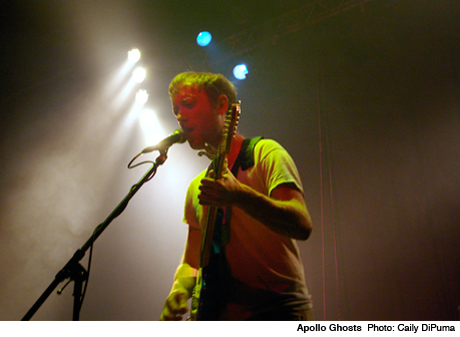 Defunct Vancouver jangle-punk outfit Apollo Ghosts' entire discography has been available on their Bandcamp page for some time now, and frontman Adrian Teacher has now followed suit by posting a trove of archival solo works on a Bandcamp page of his own. There are a total of eight different projects, including single songs, full albums, a compilation of field recordings and some short-lived collaborations. These were originally released between 2005 and 2010, many of them in extremely short runs on CD-R.
Payment is not required on any of the downloads, which are all either completely free or available in exchange for an optional donation. Get in on the fun here, or stream the various projects below. Adrian Teacher "It Always Rains on Christmas"